A Skywatcher Explorer 130 P-DS OTA Newtonian and a QHY-5L-II-M camera were mounted on a Star Discovery AZ GOTO Mount. 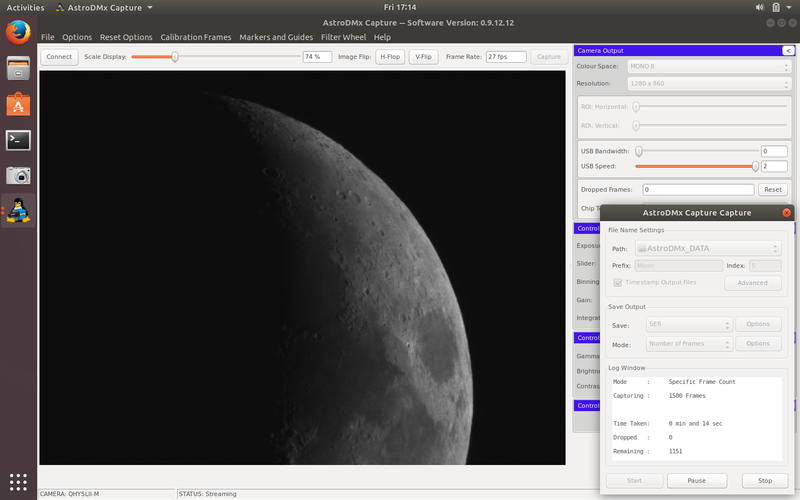 AstroDMx Capture for Linux was used with Ubuntu 17.10 to capture 2 x 1500 frame SER files at maximum resolution. The two SER files overlapped. 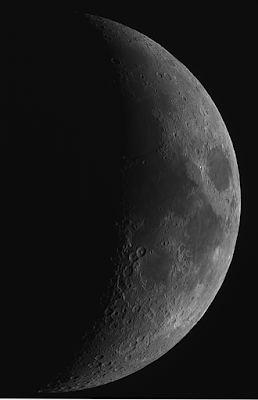 Autostakkert 3 was used to stack the best 80% of the frames in each SER file and Registax 5.1 was used to wavelet process the two resulting overlapping panes. The two panes were stitched into a single image using Microsoft ICE. All three programs were running in Wine. The final image was post processed in the Gimp 2.9. Click on the image to get a closer view.